At Bella Vita Dental of Hillcrest, we are a CEREC® dentist that specializes in creating beautiful smiles in one visit. By using the latest in dental technology, we can transform your smile into one that is bright, beautiful and that you are proud to show off. If you live in the Hillcrest, CA area, we invite you to call our office to discuss any oral health issues you are struggling with or anything that you do not like about the appearance of your smile. Both can be corrected in our 92103 dental office. As a local dentist, we understand how uncomfortable it can be to smile when you do not like your teeth because of unsightly gaps, dark stains, problems with their shape, etc. When you visit our cosmetic dentist office, we can discuss all of the issues that you have with your smile and create a game plan for how to address it. This is the standard approach that most cosmetic dentists will take. What makes our Hillcrest dental office different is that we use the CEREC® technology to improve your smile in one visit. This means even the busiest of people can take the time to have their smile improved. CEREC® is the modern solution to your dental care needs. At Bella Vita Dental of Hillcrest, we want you to understand what a fantastic solution this is. To do so, you must first know what the traditional process of restoring or improving teeth looks like. Traditionally, if a tooth was damaged, stained or in need of esthetic improvements, an impression would be taken of the tooth and surrounding teeth using a dental putty. Measurements would also be completed, and the two would be sent to the dental lab for a restoration to be created. This could include the creation of a dental veneer or dental crown. In the meantime, the damaged tooth would be prepared by having a portion of the enamel removed, and a temporary veneer or crown placed. Patients would wear the temporary for a week or two and then come back to our 92103 dental office for the permanent one to be bonded in place. The two biggest challenges with this scenario come down to time and convenience. The traditional process takes too much time and is inconvenient due to the necessity to have multiple dental appointments and the need to wear a temporary solution. However, as a CEREC® dentist, we do things differently. If you are seeking to improve the appearance of your teeth by straightening them, covering a dark stain, closing gaps, changing their size, etc., we can do all of this in one day. The same is true if you have a damaged tooth that needs to be repaired. We offer a one-day treatment without the need to wear a temporary restoration. This is made possible by the CEREC® technology. If you need a dental restoration, have a dental emergency, or simply need to improve how your teeth look, you should visit our Hillcrest dental office for an immediate solution. Our CEREC® system can be used to create crowns, veneers, inlays and onlays while you wait. At Bella Vita Dental of Hillcrest, we take digital images of the tooth and mouth that are then uploaded into the software. Using CAD/CAM technology, a computerized image of the tooth is created along with the exact dimensions and blueprint for what the new restoration should look like. The software processes the information quickly before making comprehensive recommendations for the restoration. Every detail is accounted for by the software. The instructions are then sent to our milling machine. 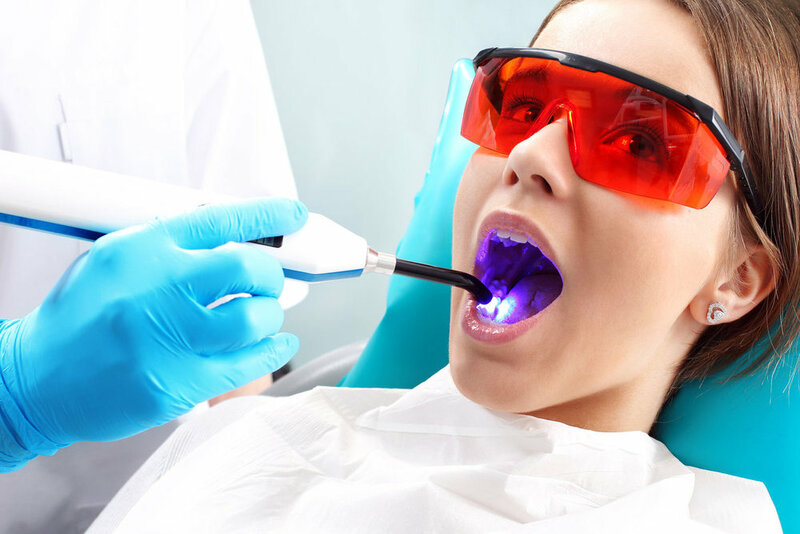 Our device will effectively print the restoration in our office while your tooth is being prepared. This eliminates the need for you to wear a temporary solution and come back for a permanent one. Since our software is so accurate, there is very little need to make any adjustments once the crown is in place. Everything is completed in one appointment at our Hillcrest dentist office. Beyond being convenient, the results are just as stunning as they would be using the traditional method. This is why if you need a restoration or simply do not like your smile, you should visit our 92103 dental office. You will experience the results you are looking for faster so that you can begin to enjoy your smile again. To learn more, we invite you to call (619) 810-1864. If you are on vacation in Hillcrest, CA and suddenly damage your tooth, give us a call at (619) 810-1864. We can provide a same day restoration so that you can spend only a few hours at the dentist before enjoying the rest of your trip. Under normal circumstances, breaking or chipping a tooth could ruin a vacation, causing severe discomfort and making it impossible to dine at your favorite restaurants. Fortunately, this does not need to be your experience. Simply call our 92103 dental office for a restoration that can get you back in the game. At Bella Vita Dental of Hillcrest, many of our patients are busy professionals that need to look their best. If you damage a tooth and have a big presentation coming up, give us a call. We can schedule your appointment right away so that you can look and feel fantastic in time to close the deal.